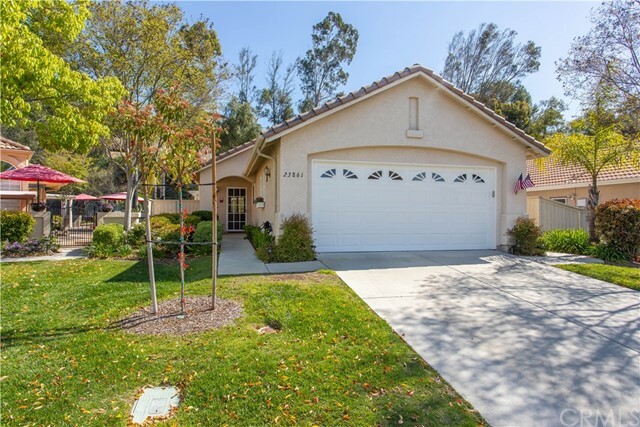 PRICE REDUCTION Welcome to your new home here in the Colony, the best 55+ gated community in Murrieta. You'll love this 2 bedroom, 2 bath, 1154 sq ft single story home with no one behind you but the scenic greenbelt and trees. This home is move-in ready and clean as a whistle with new fans and fixtures, plantation shutters, new paint, new dishwasher and new refrigerator. You'll enjoy the serenity of the large covered patio and drought tolerant landscaping. You'll also love all the amenities here at the clubhouse like large pool, two spas, tennis and paddle tennis courts, exercise room, pool tables and so much more.